CALIFORNIA – With several years of drought affecting the Golden State, it can be tempting for tree nut growers to overwater. However, overwatering can cause an underground issue to emerge. 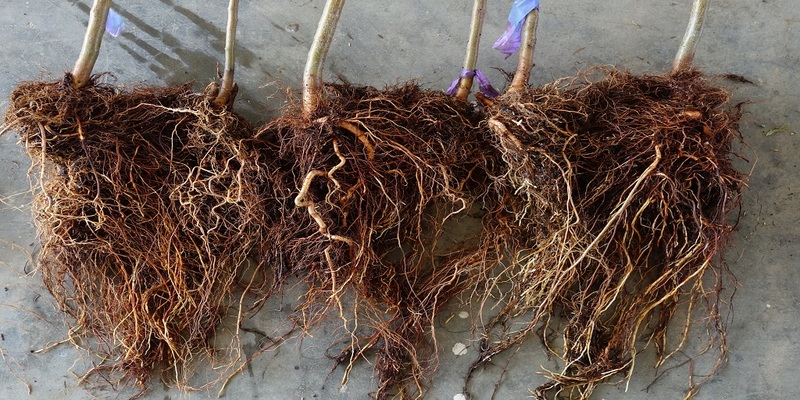 Phytophthora root rot infects the root tissue of trees, leading to an increase of poor vegetative growth, long-term orchard decline and possible tree death. The best way to detect infection is by digging up roots and getting tissue tested for the presence of a specific Phytophthora protein. To combat this disease, water management is key. Make sure the soil is not too saturated, as this can allow the Phytophthora mold room to live and grow. Growers should also consider planting on berms and avoiding soil compaction. In addition, we recommend applying a fungicide like Ridomil Gold® SL, which can help improve stand, root health and crop vigor to help maximize return on investment. Syngenta offers the Soil Pathogen Assessment (SPA), a free program that assesses Phytophthora infections on an orchard-by-orchard basis. Contact your Syngenta representative to learn more about soil sampling through the SPA program.